Jaipur is a city with multiple facets. The majestic forts speak volumes about its glorious past, marketplaces are a reflection of its vibrant culture, and museums give a peek into the history of the city. When all these aspects are clubbed with royal hospitality, Jaipur becomes one of the must-visit destinations in the country. If you are planning a short trip to the city, our checklist of things to do in Jaipur in two days will ensure that you make the most out of the visit. Read on, as we have got a long itinerary for you. 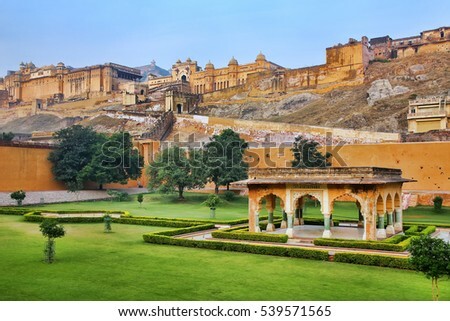 Amber Fort or Amer Fort is an architectural marvel located on a hill in Amer. The majestic structure is famous for mirror work, and light and music performances held in the evening. 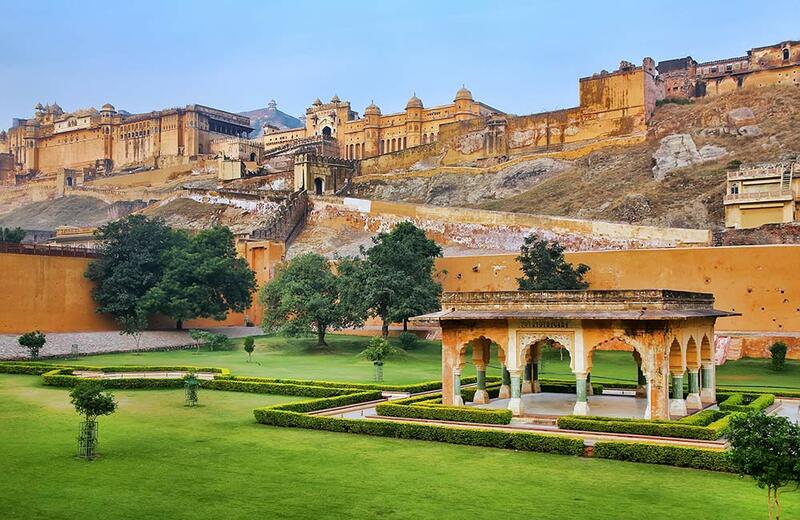 Built by Raja Man Singh, the fort served as the main residence of Rajput maharajas for years. Take an elephant ride to the fortress, and you will love the experience. Standing tall on the Aravalli Hill, overlooking the Jaipur city, Nahargarh Fort had a significant role in history due to its strategic location. The fort is also famous for its chilling past as according to folklore, the fort was haunted by the spirit of Prince Nahar Singh Bhomia. A temple was built inside the fort to appease his spirit. The Palace of Winds, Hawa Mahal provides a beautiful view of the city. Maharaja Sawai Pratap built this iconic red and pink sandstone structure in 1799. The five-storey pyramid-shaped palace is 50 feet tall. Its exterior looks like a honeycomb of a beehive with 953 small windows showcasing intricate latticework. The main purpose of Hawa Mahal was to let the royal ladies observe festivals and everyday life without being seen. Jal Mahal is a five-storey palace located within Man Sagar Lake. It is a perfect example of Mughal and Rajput architecture. When the lake is full, four stories of the mahal remain underwater, and only the top floor is visible. The palace, constructed by Jai Singh II, looks gorgeous on a starlit night. Built in 1726, Jaigarh Fort is located at the height of 500 feet above sea level on Cheel Ka Tila or Hill of Eagles. It has the world’s largest cannon on wheels, named ‘Jaivana Cannon’. The fort offers panoramic views of the city and plains. There’s a museum inside the fort that exhibits old photographs of former princely states, and weapons and armors used by Rajput warriors. If you are curious about the past of Rajasthan, visit City Palace. It houses Mubarak Mahal, Chandra Mahal, and other buildings inspired by Mughal and Rajput architecture. Chandra Mahal is a museum, but a major art of it is still a royal residence. There are beautiful gardens and a courtyard inside City Palace, making it a perfect place to spend time with family. A highly revered temple in Jaipur, Birla Mandir is located close to Moti Dungri Fort. The stained-glass paintings depicting instances from Hindu scriptures are the main attraction of the temple. Birla Mandir is built with white marble and surrounded by lush green gardens. Govind Dev Ji Temple is dedicated to Lord Krishna and is one of the seven temples of Thakur of Vrindavan (childhood avatar of Lord Krishna). The idol of the deity was brought by Maharaja Sawai Jai Singh II, who was the founder of Jaipur. The aarti and bhog are offered seven times a day at the temple, and you must attend the former ritual. Located 10 km away from Jaipur, Galtaji temple is a famous Hindu pilgrimage site. It is a complex of seven sacred pools of water surrounded by two granite cliffs. A natural spring emerging from the hill fills the holy kunds (water tanks). The temple is said to be the once home of a saint, named Galav. Popularly known as LMB, the place serves ghevar, the favorite dish of locals. Though there are many varieties of ghevar at Laxmi Mishthan Bhandar, we recommend trying their rabri ghevar. Also, you must gorge on their Rajasthani thali. 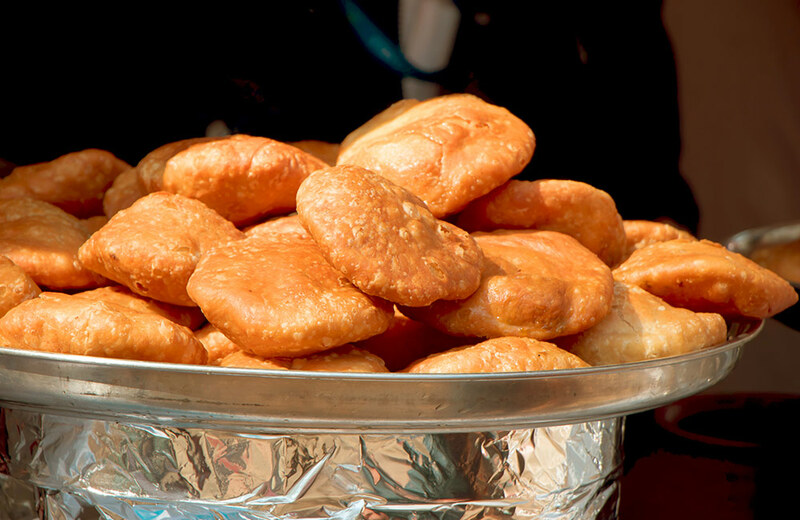 Pyaaz kachori at Rawat will probably be the tastiest kachori you would have ever tasted. If you aren’t calorie conscious, don’t hesitate in trying these mouth-watering hot snacks. You will be surprised to know that Rawat Mishthan Bhandar has more than 50 varieties of local snacks and sweets. Masala Chowk is a food court in Ram Niwas Garden that will satiate your craving for street food. 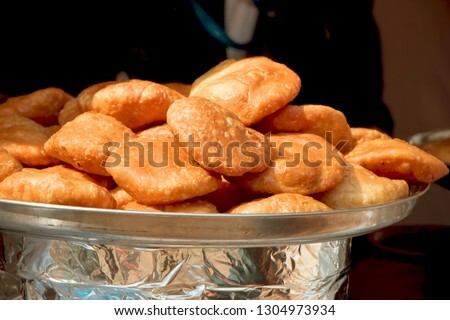 From Gol Gappa and Mishri Mawa to Samosa and Jalebi, you will find it all at one place. 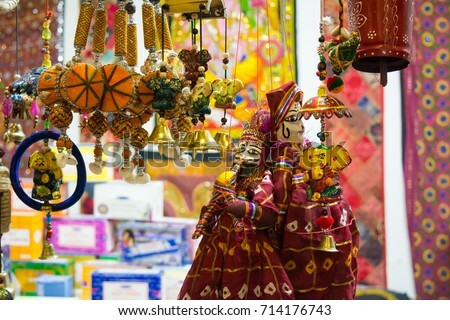 Johari Bazaar is renowned for lac bangles, precious gemstones, textiles, traditional clothes, and more. You will be spellbound with the amazing designs of handmade jewelry available here. You will also find a beautiful collection of table tops, jewelry boxes, and mirror frames at Johari Bazaar. Bapu Bazaar is the largest market in the world selling things made from camel hide. Whether you are looking for leather bags, wallets, belts or other camel leather products, you will find it all in one place. The market is also famous for mojri shoes. 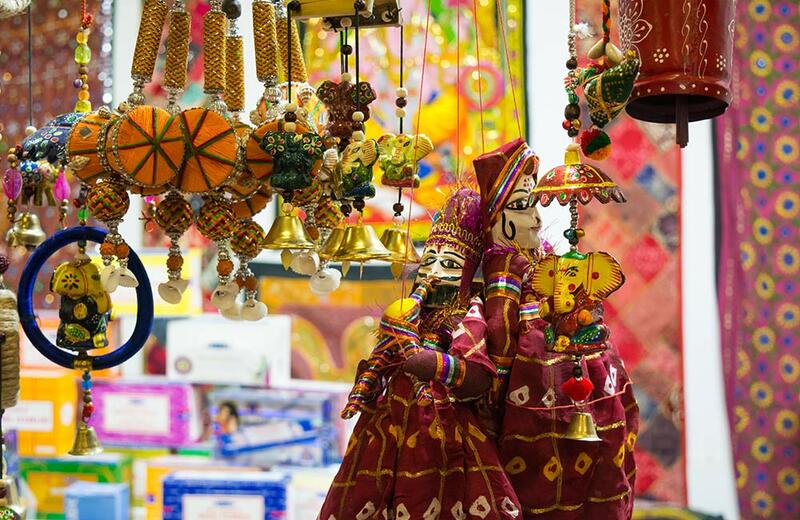 If you are looking for authentic Rajasthani handicrafts, head to Nehru Bazaar. There are several shops selling bags, household items, footwear, sarees, and souvenirs. As things can be a little overpriced here, we recommend that you try your bargain skills. Built by King Chanda around the 9th century, Chand Baori is one of the largest stepwells in the world. There are 3500 narrow steps at Chand Baori, leading to the water inside. 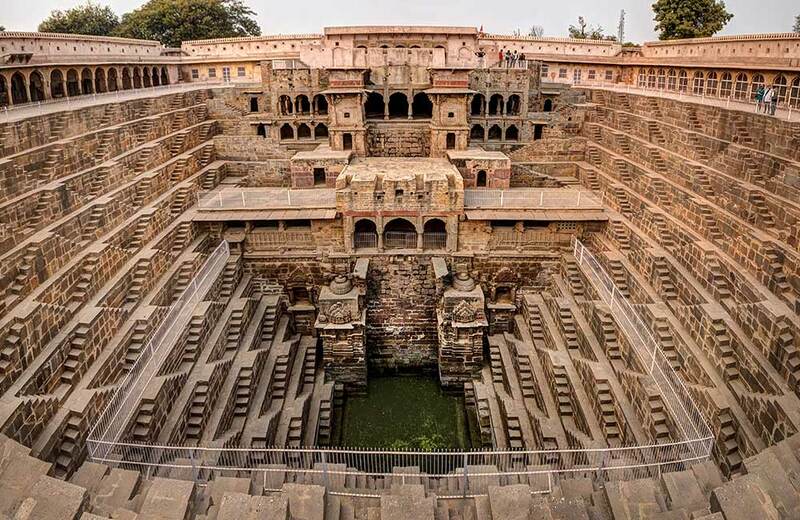 The baori is 64 feet deep, has 13 floors, and all the steps are arranged symmetrically. The oldest museum in the state of Rajasthan, the Albert Hall Museum is one of the finest examples of Indo-Saracenic architecture. The hall has an impressive collection of artifacts, handicrafts, portraits of locals kings and paintings, depicting the glorious past of the royals. The Jantar Mantar in Jaipur is renowned for its grand structure. It is an observatory, telling how people in olden days estimated time. Constructed in 1728 by Jai Singh II, Jantar Mantar has a total of 20 instruments to track stars, measure time, and predict eclipses. 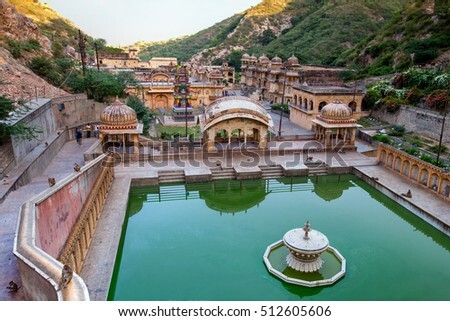 The only functional stepwell in Jaipur, Panna Meena Ka Kund is located close to Amer Fort. 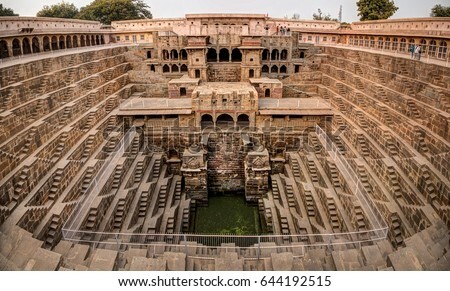 Also known as Panna Mian ki Baoli, it has a unique architecture with octagonal gazebos. The baoli is designed in such a way that nobody can use the same stairs to get down and come up. Situated within Nahargarh Fort, Jaipur Wax Museum has life-size wax sculptures of 20 to 30 Bollywood stars, politicians, sportspersons, legendary kings, and other famous personalities. The attractions in the museum are divided based on different themes for ease of navigation. Chokhi Dhani is a five-star resort and replica of a traditional Rajasthani village. The place serves Rajasthani food and organizes folk dance and puppet shows every day. Even if you don’t want to stay at the resort, you can visit it to enjoy all these activities. 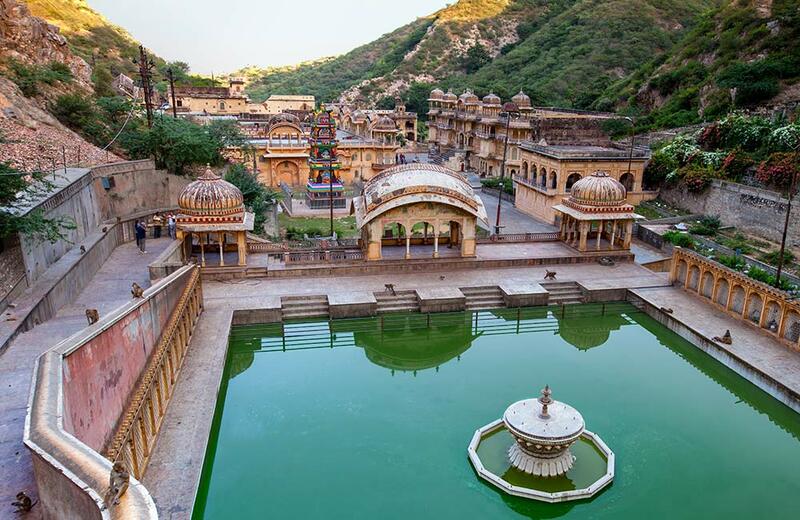 When it comes to exploring places, Jaipur isn’t going to disappoint you. Besides following our list, we recommend you check out our post on things to do in Jaipur at night to make the trip more memorable. last but not the least, don’t forget to book a hotel in Jaipur to make the vacation hassle free.